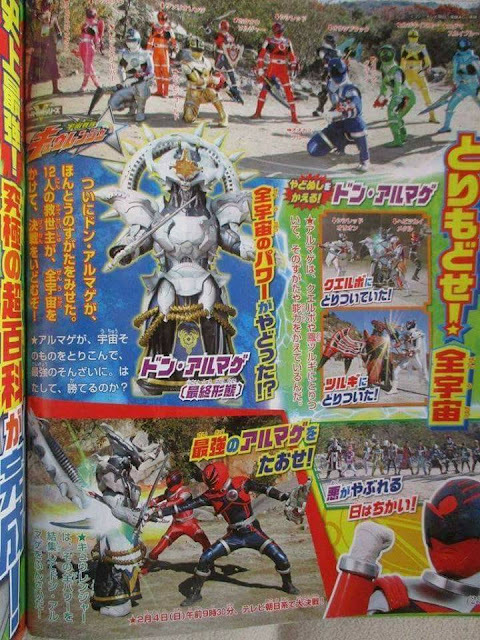 Here are the latest and final magazine scans for Uchuu Sentai Kyuranger as they will finally bid us farewell this coming weekend. 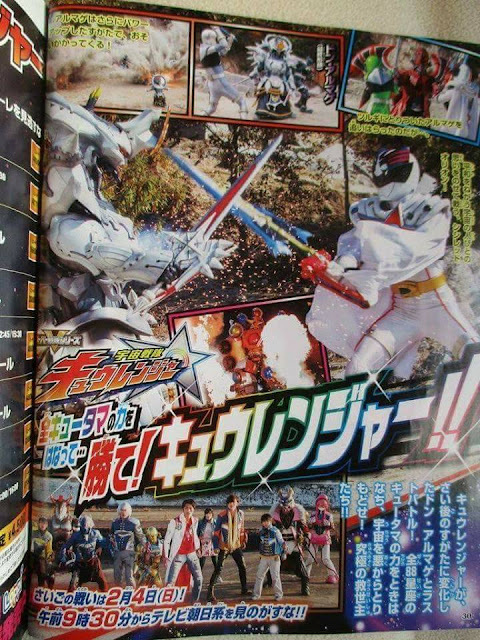 It's the final battle that will decide the fate of the universe as the Kyurangers, with Tsurugi and the commander at their side once again, go full force and face Don Almage in his final form! Same for me.. im so sad when this series going to end.. i want this series going more further..